We’ve been working very hard recently on a new theme release (Flexr), and have more new themes in the pipeline. But, it’s not only WordPress themes that we’re focused on. Most of you visiting the site are probably unaware that we develop a range of WordPress plugins too. It’s a large part of our workflow. In fact, we love working on plugins! It’s surprising but looking back, our plugin development spans several years now. Where does the time go! You can find all our free plugins hosted on WordPress.org. We have 11 free plugins available which have been downloaded well over 400,000 times to date. The most popular free plugins were developed further to add new features and extra polish and released as premium plugins on our new site called WPGO Plugins. The site went live some time ago and we’ve been quietly improving the plugins over time. We’ve also steadily added to a (now large!) list of potential ideas for future plugins. At the moment we have four premium plugins available which are listed below. 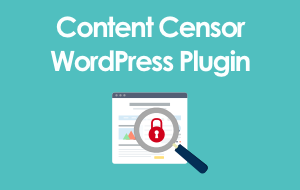 Content Censor is a one-stop-shop to protect your site content from profanity and inappropriate content. Enter a list of keywords to be censored on every post and page on your site. It automatically censors every comment left on your site too! 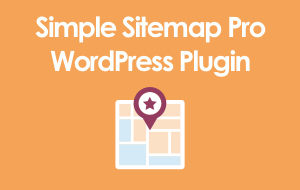 Simple Sitemap Pro is the easiest and quickest way to add a comprehensive sitemap to your website. Great resource for your site visitors to be able to see a breakdown of your content in one easy to access location. You can even embed a sitemap inside tabs! 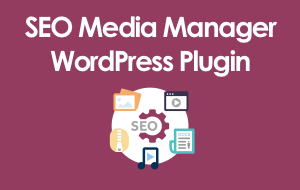 SEO Media Manager supercharges your media SEO! Auto formats HTML attributes for existing media AND newly uploaded files. Powerful formatting options. Huge time-saver by auto formatting media library titles to a readable form! jQuery UI Widgets Pro provides a complete solution to add jQuery UI scripts to your site. It supports the entire range of jQuery UI widgets, effects, & interactions. Add your own custom code, and CSS, globally or on specific pages to add extra functionality. Also, let us know if there are any plugins you’d like to see developed, we’re always looking for new ideas! In the meantime we hope you find our existing plugins useful. Why not join the 100’s of thousands of users who have already installed our plugins on their own sites!